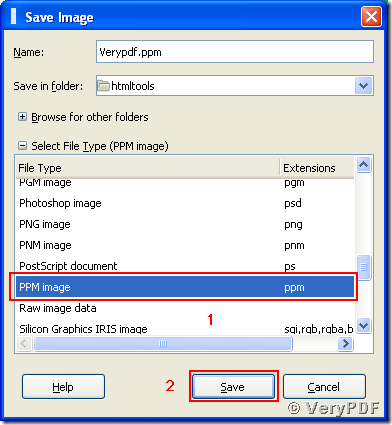 ← How to use ZIP compression for image streams in PDF Printer? 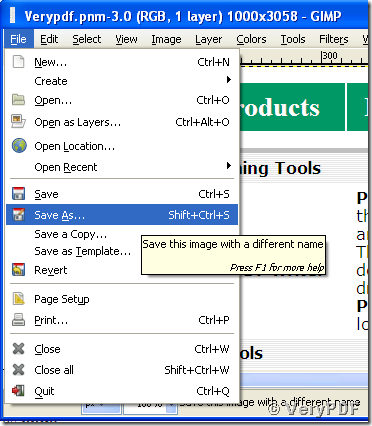 How to convert a document of html to pnm image? 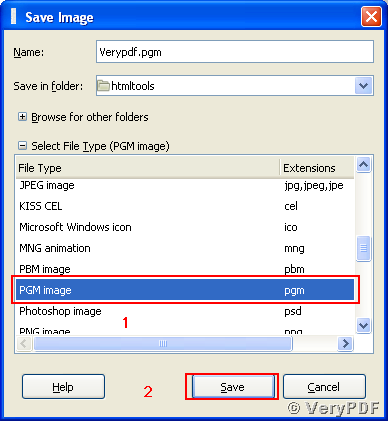 PNM image format is an abstraction of the PPM, PGM and PBM formats, which means that PNM refers collectively to PPM, PGM and PPM image formats. 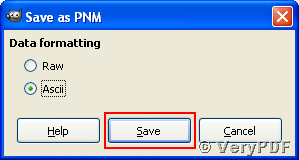 PNM stands for “Portable aNyMap format”, where “aNyMap” is “PixMap” for “PPM (Portable PixMap format)”, “GrayMap” for “PGM (Portable GrayMap format)” and “BitMap” for “PBM(Portable BitMap format)”. 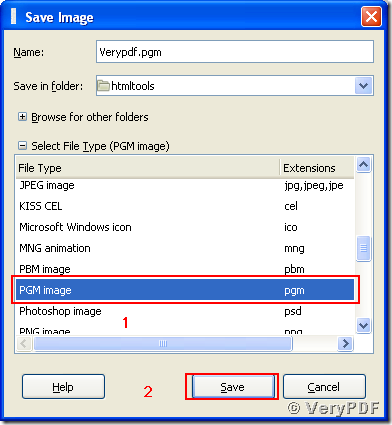 There are four extension names for PNM image files: ppm, pgm, pbm and pnm. “D:\htmltools\htmltools.exe” is telling the command prompt to launch the conversion tool and “D:\htmltools\Verypdf.html” indicates the file path and name of the source html document. 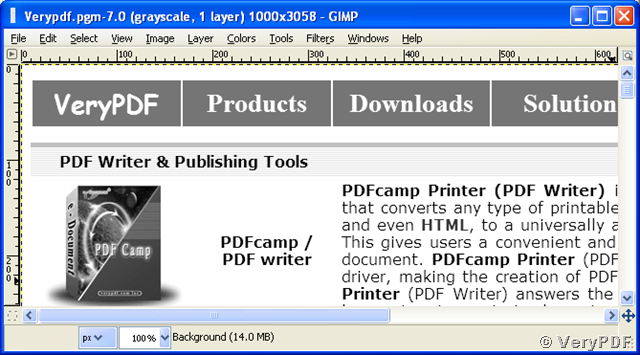 The target file path, name and extension name are specified in “D:\htmltools\Verypdf.pnm”. Presently, the conversion tool VeryPDF HTML Converter Command Lineonly supports to convert html to pnm stored in extension name of “pnm”. 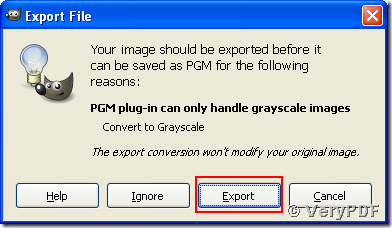 If you want to use other three extension names for your converted image from html to pnm, you can use the image editor application GIMP to achieve your aim. Then a new image with name “Verypdf.ppm” for this case will be created in your current directory. 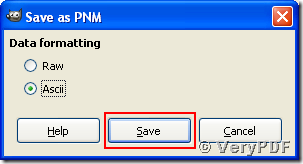 The steps are similar to those of saving as pgm. The only difference is choosing the pbm instead of pgm at Step 3. 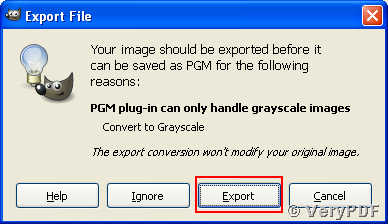 How to convert a document of html to tga image? 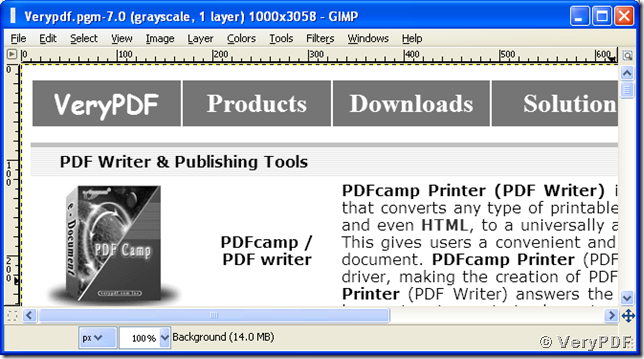 How to convert a document of html to postscript format? How to convert a document of html to pcx image? 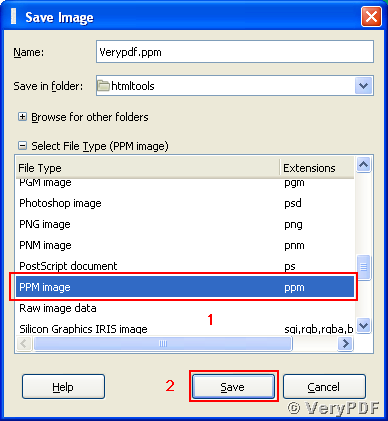 How to convert a document of html to jp2 image? How to set the bit depth while converting emf to tif? How to convert mhtml to eps? This entry was posted in HTML Converter (htmltools) and tagged html converter, HTML to image, html to pnm, html2image, VeryPDF HTML Converter. Bookmark the permalink.